Aisling: Recommending my all-time favourite books to customers and seeing them enjoy them just as much as I did! Ashlee: Being able to recommend my favourite reads to customers. 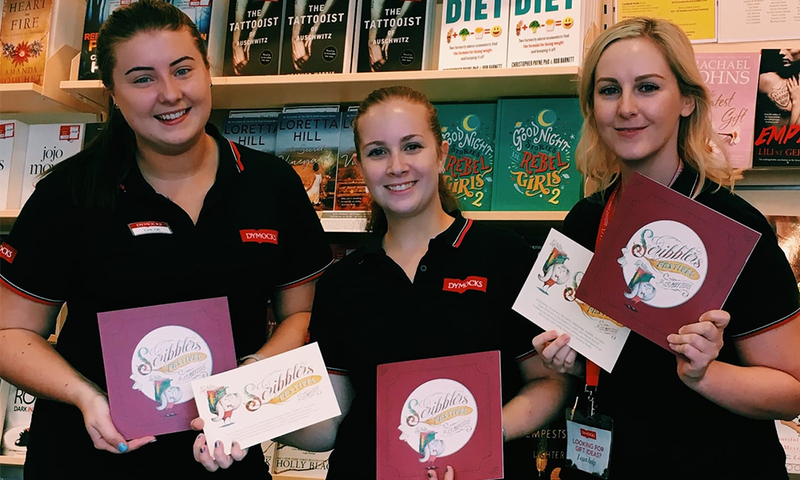 Chloe: Helping to encourage a love of reading for people of all ages and seeing excited children coming to the store to pick their next book! Aisling: An advance copy of The Burning Chambers by Kate Mosse - just as amazing as her other stories! Ashlee: Mythos by Stephen Fry. It's a humorous take on Greek mythology. Chloe: The Cruel Prince by Holly Black - the first in her new YA fantasy series. I'm really excited to get my hands on the next book! Ashlee: Growing up I loved anything Roald Dahl or Enid Blyton. Chloe: The Witches by Roald Dahl was always one of my absolute favourites! I also loved Jacqueline Wilson's novels such as The Diamond Girls and Dustbin Baby. Aisling: The community events we hold, particularly our monthly Young Adult Book Club (which we love!) and our bi-monthly Books at Bars events. Ashlee: We have YA book clubs every month that are a hit with customers. Chloe: That we don't just sell books! We have fantastic non-book products such as Harry Potter-inspired candles and bookish bath bombs. We also regularly stock book-related Pop Vinyls and merchandise!